ECR is a strategy to remove unnecessary cost from the distribution system and to make it more responsive to consumer demand. ECR requires distributors & suppliers to focus jointly on the efficiency of the total supply chain, rather than the efficiency of the individual components. ECR aims to increase consumer choice, satisfaction and service. At the same time, ECR aims to achieve a reduction of total costs, inventories and physical assets. In the early 1980s, the North American continent was hit by a deep recession. Consumer expenditures were declining. ECR had successfully pulled the retail sector of the USA out of the recession in the early 1990s. Economic conditions in 1990’s Europe similar to US in 1980's. Multinational manufacturers in USA had experienced the benefits of ECR in North America and wanted to introduce ECR to Europe to enjoy the same benefits. A key benchmarking exercise was sponsored by ECR Europe during latter half of 1995. It revealed that the overall cost reduction to be obtained in European markets from applying the whole range of ECR improvement concepts is in the region of US$33 billion. The UK's Institute of Grocery Distribution has estimated that in 1994 the retail value of these markets exceeded 700 billion ECU. The Coca-Cola retailing research group has further estimated that supply chain costs, from factory gate to store backdoor accounted for 9.6% of this total, nearly 70 billion ECU per year. Every percentage point of improvement in these cost will thus contribute savings of 70 million ECU per year. ECR Europe projects demonstrate that many of the savings theoretically estimated in the benchmarking study are practically achievable and may even be exceeded, often simply by better management. The prizes for embracing the ECR philosophy are huge. The European benchmarking study concluded the companies embracing ECR first will secure the greatest benefits. ECR is more and more a main agenda item between trading partners in Europe. ECR has now been established in China, Hong Kong, India, Japan, Malaysia, Singapore, South Korea and Thailand. 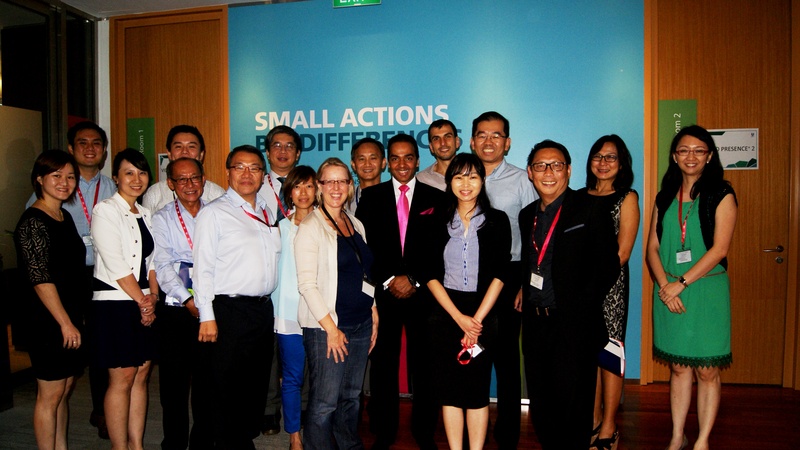 ECR Singapore is a private sector initiative comprising of suppliers, manufacturers, distributors and retailers. ECR Singapore is open to all companies in the grocery and fast moving consumer goods sector. Improve consumer choice, satisfaction and service. Achieve a reduction of total costs, inventories and physical assets. Remove unnecessary cost from the distribution system and make it more responsive to consumer demand. Network with ECR organisations in USA, Europe and Asia. This is the process of filling store shelves with the right products and minimum waste of effort, which can be measured in terms of low cost and high level of customer service. It is the active use of bar-coding, scanning and electronic communications so that information precedes the flow of products. It also involves moving processes and responsibilities to partners in the supply chain. Overall efficiency can be achieved on 2 levels by maintaining high levels of supply with minimum levels of inventory - Just in time to meet demand and storing & transporting products in the most efficient way. Efficient Replenishment also includes the need to make products available today in anticipation of what will be sold later today. The concept of ECR can be broken into a number of techniques each of which are supported by one or more EAN standards. Represents a method for managing complex changes that are occurring in consumer needs and shopping behavior. Retailers and suppliers need to better understand consumer needs and to meet those needs more effectively. Category Management is an information driven process for analysis, planning, execution of Category Business Plans. At the core of Category Management concept is a focus on better understanding of consumer needs as a basis for retailer and supplier strategies, goals and work process. Category Management is often the core driver of new organisational forms for both retailers and suppliers. Flow Through Distribution is a distribution system in which merchandise received at a warehouse or distribution centre is not stocked but immediately prepared for onward shipment. Close synchronisation of all inbound & outbound shipments is crucial.